Xavier Berdin knows a thing or two about celebrating with Champagne. After all, he is the Cellar Master at Champagne Palmer & Co. With the holidays around the corner, we can all agree a lot of champagne is going to be popped, gifted and drunk in the upcoming months so we thought we would get some tips on how to enjoy bubbles in style this holiday season! 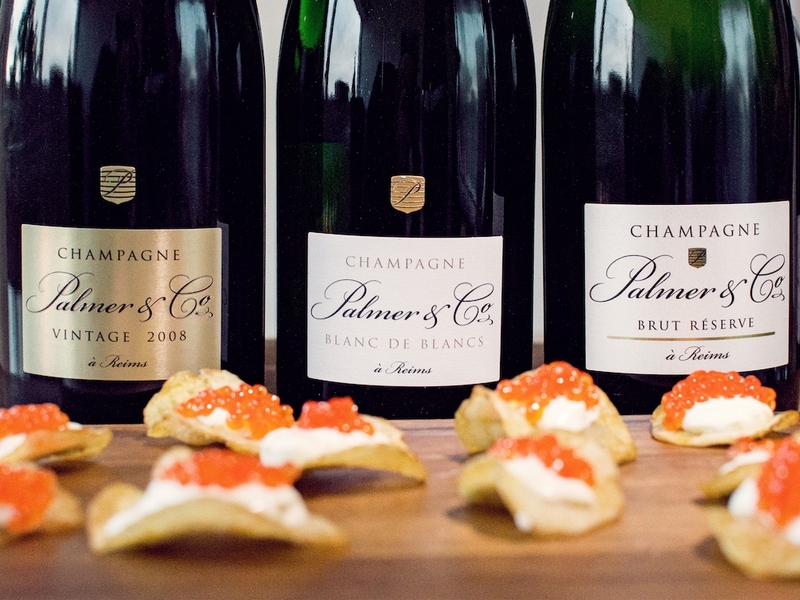 What makes Champagne Palmer so delicious and different? XAVIER BERDIN: Magnificent terroirs, a long maturation process and overall commitment to excellence are trademarks of Champagne Palmer & Co.'s heritage for the past 70 years. Our Champagnes are sourced from 415 hectares of vineyards, half of which are classified as Premier and Grand Crus in the Montagne de Reims area. We are one of the few houses to employ a democratic method of selecting the final blend for each Champagne; five of us make the decisions together to ensure the highest quality and consistency year after year. Once vinified and blended, we embrace the time necessary for our wines to mature. They age on the lees in deep, chalky cellars well beyond the time required by law until they are finally disgorged, and we share them with the world. The holidays are upon us! What are your best Champagne serving tips? XB: We recommend pairing a bottle of Champagne Palmer & Co. Vintage—our current vintage is 2009—with capon and truffles at a festive meal, or for a special treat indulging in one of my favorite guilty pleasures, Champagne Palmer & Co. Blanc de Blancs with a scallop carpaccio—an extraordinary pairing not to be missed, especially during the holidays! What should people remember when gifting Champagne? XB: We hope that people will remember to enjoy the festive mood of the season, abundant acts of kindness, and the constant reminders to embrace joy as well as those special people closest to us. A gift of Champagne is most wonderful when the recipient can share the bottle with friends and family during this exceptional time of year. What's your favorite champagne cocktail? XB: I like the French 75, a timeless drink created sometime around World War I and was named after the 75mm field gun used by the French military. It’s a refreshing combination of Champagne, gin, lemon, and sugar. It’s a must. What hors d'oeuvres go best with Champagne? XB: Champagne is wonderfully versatile, and can pair with light and rich dishes alike. Some of my favorite pairings include Palmer & Co. Champagne with oysters, langoustine ceviche, scallops, crab blinis, marinated smoked salmon or Pata Negra ham.